Behind the Cover: NCO justice, still alive and well? You are at:Home»Behind the Cover»Behind the Cover: NCO justice, still alive and well? It’s been more than a decade since the Marine Corps cracked down on hazing and tightened its regulations to bar abusive rites of passage and other acts including “incentive” physical training. But that hasn’t stopped some leaders, including noncommissioned officers, from using incentive PT to motivate a lazy Marine or discipline a screw-up. They think such cases of “NCO justice” are still effective at fixing the problem and getting the message across. Others, though, say such abuse of authority is a cop-out for poor leadership and flat-out bullying. 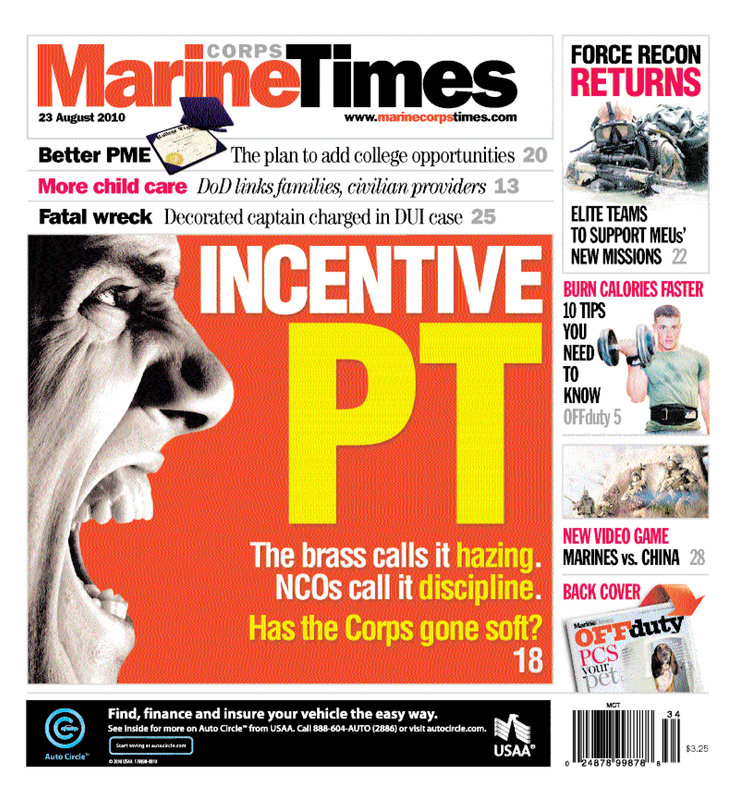 It’s a debate that continues in this week’s Marine Corps Times’ print edition.